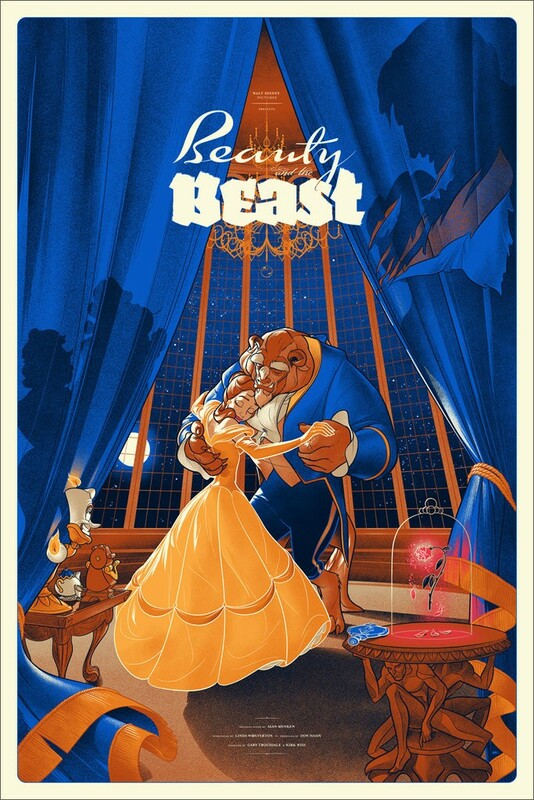 As most fans know, Mondo and Disney announced in January that they were teaming up for a gallery show based on Disney's extensive film library. As part of that announcement, Mondo said that there would be previews each week leading up to the show; however, weeks went by and we didn't see anything. This was most likely caused by finalizing designs and getting approval from Disney -- a completely understandable situation, but fans were eager nonetheless. Enter this past Monday, when Disney released multiple previews of work from the show. Then today, we were treated to even more new artwork set to debut on Friday. In the end, even though we had to wait longer than originally expected, it seems it's been worth the wait. So far, we have been treated to previews of work from Kevin Tong, Tom Whalen, Kilian Eng, Jeff Soto and a host of others. Based on that work, we know that both Pixar and live action films will be covered at the show. 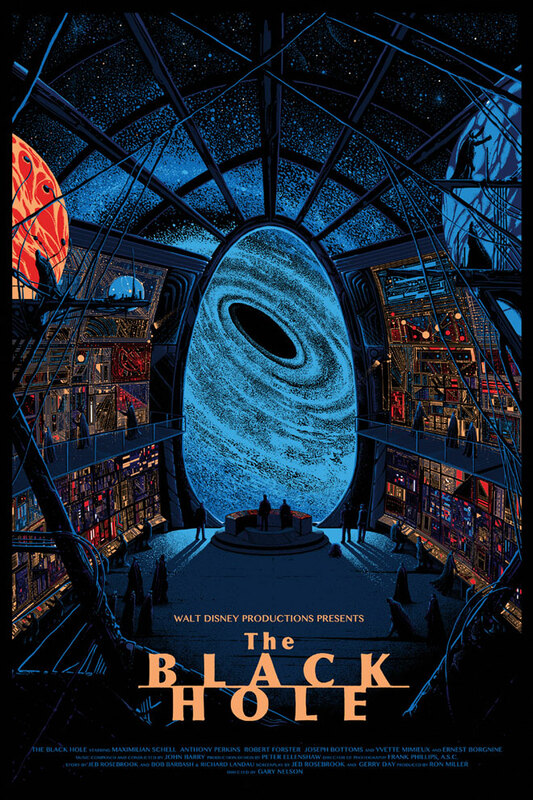 As for the art that's been debuted, some of our favorites so far have been Kilan Eng's Black Hole, Jeff Soto's Fantasia, and Tom Whalen's pieces for Aladdin and the Incredibles. We're still unsure about run sizes and possible variants for these pieces, but we'll update you as soon as we find out. There is also a whole bunch of art left to be revealed, including pieces from Horkey, Moss and Ansin. So check back here in the coming days, as we continue to keep up with the announcements! Update: As expected, more and more previews have made their way online in the last few days. We've seen some truly jaw dropping pieces from the likes of Rich Kelly, Olly Moss and Martin Ansin. And just when you thought Tom Whalen was finished, he dropped great work for the Lion King and Finding Nemo. In fact, the previews have been so well received that the line for this show stated forming yesterday! You can check out some pictures via Nerdlocker here. Believe it or not the line seems to be longer about 24 hours before the show opens than the Stout Taylor show was at the same point last year. To all those who are there, enjoy!